Carlisle vs Colchester predictions as they meet in League Two on Saturday. Will the visitors be able to continue their recent good form? Read on for our preview of the match and all our free betting tips below. 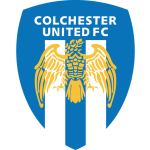 Although top spot in the League Two table is being contested by front runners Lincoln City and MK Dons, one of the sides flying under the radar in the chasing pack is Colchester United. 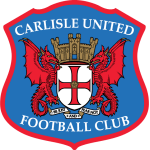 This weekend they have the opportunity to maintain the pressure in the title race as they make the long trip up to Cumbria to face off against a Carlisle United side who are struggling for form at present. Carlisle United will aim to put an end to a four-match winless streak in all competitions this weekend as they welcome their high-flying visitors to Brunton Park. The Cumbrians will still be harbouring hopes of turning their disappointing season around and they know that if they are able to put together a solid second half to the season then a spot in the play-offs is not out of the question. However, if they are to achieve this aim then they are going to have to improve on a home record which has seen them manage just 10 points in 10 matches on home soil, a tally which is only one point better than the worst record in the division. A big win at Carlisle United could send Colchester United up to second place in League 2 if Lincoln City slip up against Morecambe this weekend. The U’s have been quietly going about their business and although their recent results do not represent anything too extraordinary, the fact that they have won their last two matches by a goal to nil shows that they have the steel required to be in the running right through to the end of the season. Although you might think that, given the form of the hosts and the league position of their visitors, an away win looks like a banker, the fact that Colchester have won just three of their 10 away matches this season gives us a little to be concerned about. Instead of the win-draw-win market, we think that banking on the U’s defence is a far more secure way to go and as the visitors have secured a clean sheet in 43% of their matches this term, we think that backing ‘Both Teams to Score – No’ represents the best option. Carlisle have conceded at least one goal in 90% of their home matches. Carlisle have failed to score in 50% of their home matches. 63% of Carlisle’s points have been earned away. Carlisle have scored 64% of their goals away. 66% of Colchester’s points have been earned at home. 79% of Colchester’s conceded goals occurred in the second half. 37% of Colchester’s conceded goals occurred after the 75th minute.